For ladies looking for stunning simplicity this is the gown for you. It’s all about the beading. 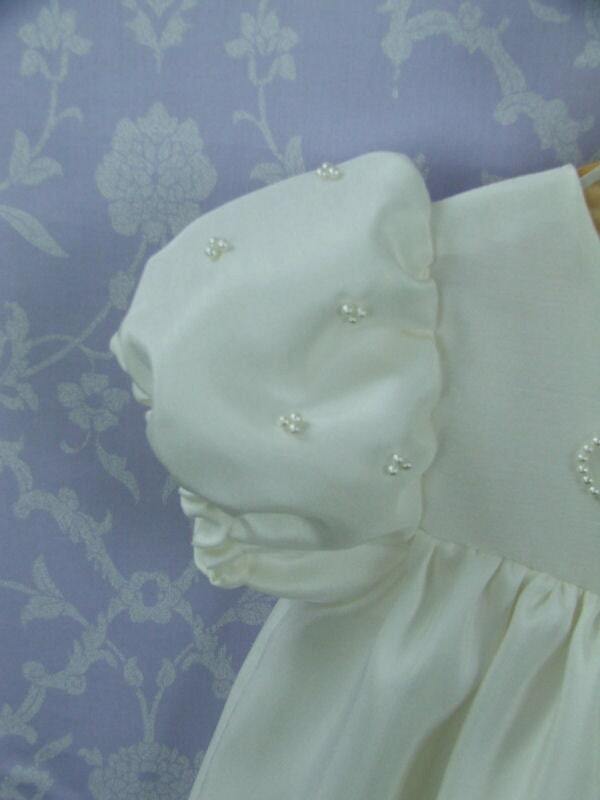 Beautiful pointed bodice with ivory pearl hand beading portraying a flower with scrolls. The puff sleeves are detailed with clusters of triple beads scattered across them. 32 inches in length from shoulder to hem. 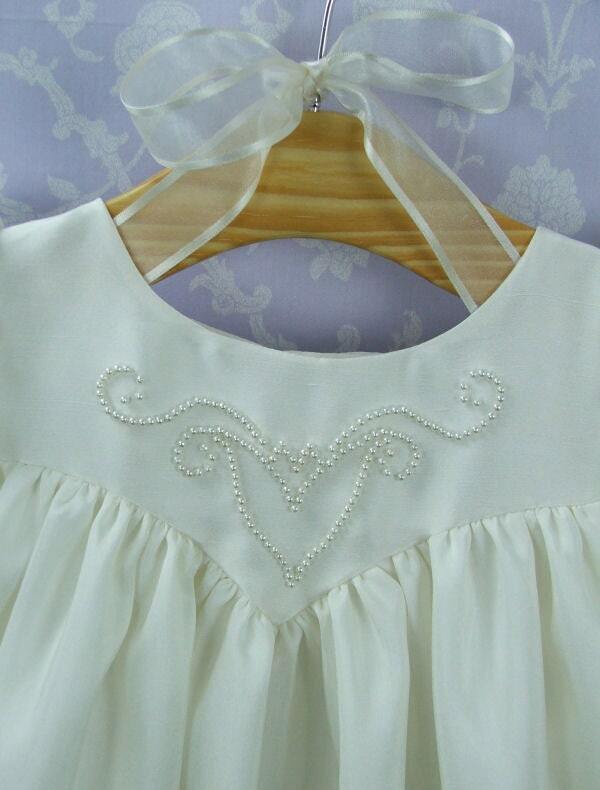 The back of the dress features covered buttons and rouleau loop fastenings and a set bow. 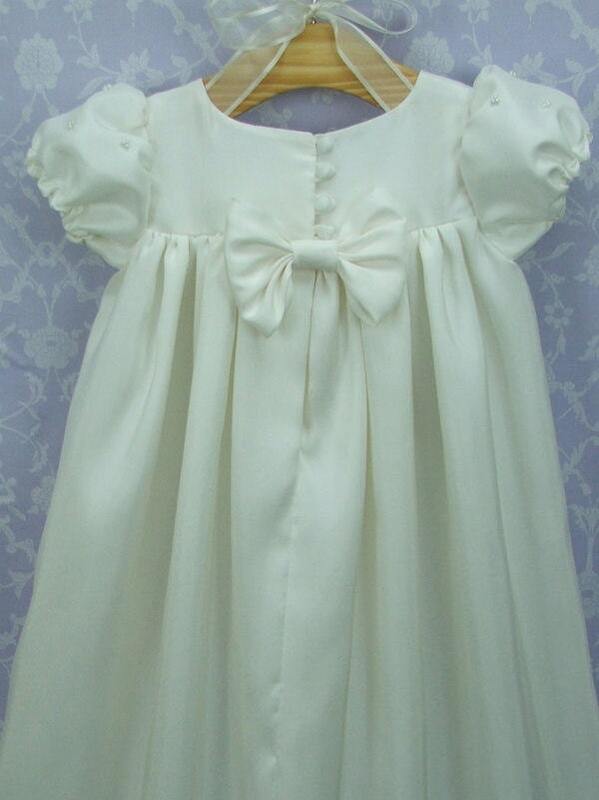 The main dress is 100% dupion silk with a synthetic lining. Matches any of our accessories. 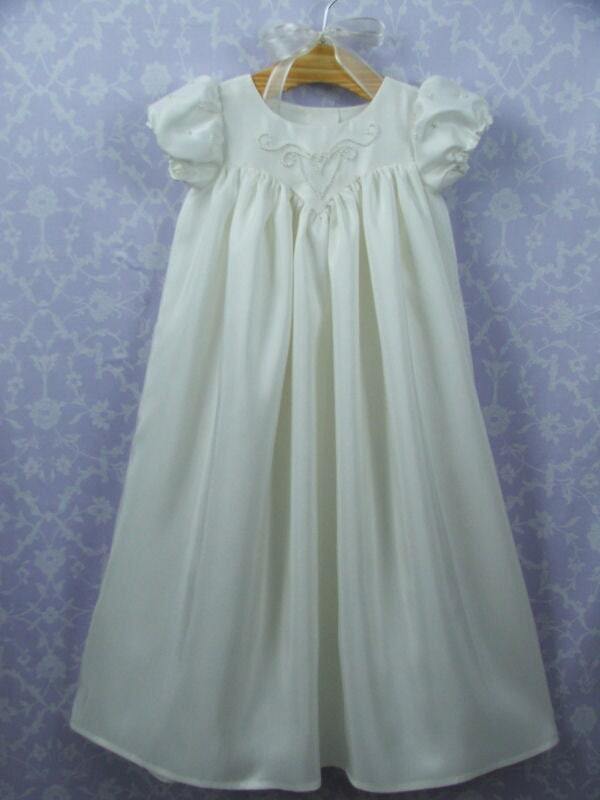 We offer Bonnets and booties and bloomers all in matching silks and details. See our shop. Please note the nature of dupion silk is such that it has a natural finish that includes variations in the weave , occasional slubs (thicker strands) that are all a characteristic of this beautiful silk.